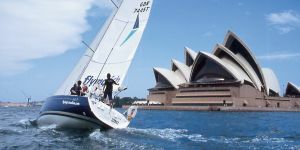 We operate a matched fleet in Sydney – ideal for learning to sail and getting to grips with race techniques. 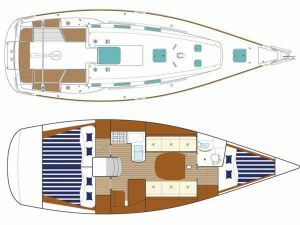 The 40.7 is a fast cruiser with three double cabins, a large saloon, and plenty of space on deck. 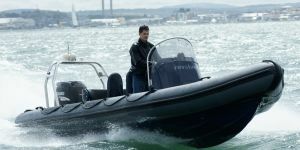 They are ideal for inshore training exercises or short offshore passages. All out yachts are coded and have the required safety equipment required by the MCA in the UK or YA in Australia. 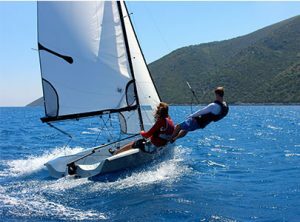 In Greece, we have Laser Radials and RS 2000s for basic training, and the extensive Wildwind fleet of Hobie Cats, Laser and RS skiffs and dinghies for racing. In Greece, we sail Laser 1 and Laser 2000 dinghies for basic training at Club Vass. Here we have access to the full range of Hobies, from the original Hobie 14 right up to the Tiger and the Tornado. Add in the RS 100, 200, 400, 500 and 800, not to mention Lasers Vago, 3000 and 4000, and you’ll be spoilt for choice on race day. Our small boats in Sydney include six two-person Bahia sailing dinghies, complete with asymmetric spinnakers and trapeze, and six Laser Pico single-handers, which are ideal for juniors learning to sail. 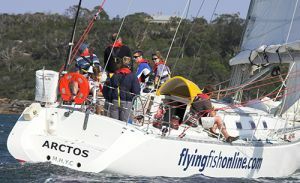 ARCTOS is the flagship of the Flying Fish fleet in Sydney. She is a powerful cutter-rigged Radford/McIntyre 55. This impressive yacht was built for long distance ocean yacht passage making and completed a Southern Ocean circumnavigation via Cape Horn. ARCTOS is strong and fast and fully set up with Category 1 safety and communications equipment. Every year a crew of amateurs from around the world join Flying Fish in Sydney to compete in the iconic Rolex Sydney to Hobart yacht race. Flying Fish ARCTOS has a string of podium results. 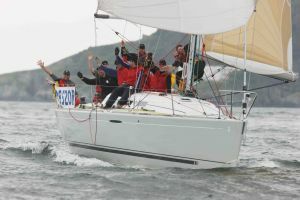 You can book a crew place on the Sydney to Hobart campaign or contact Flying Fish if you would like to charter ARCTOS for your group to compete in this or another event. ARCTOS is moored in a beautiful setting at Middle Harbour Yacht Club. The yacht is professionally maintained and fully equipped to live aboard. The 40.7 is a highly regarded Bruce Farr-designed sailing yacht, ideal for learning and comfortable for cruising. It is also fun for racing and competes successfully in an IRC or PHS race fleet. The yachts are professionally maintained and fully equipped to live on board. 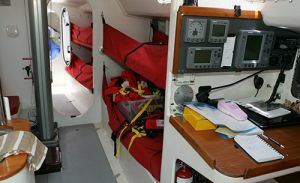 Our yachts are equipped with the latest safety and navigational equipment, including Raymarine C Series chart plotters and instrumentation, HF and VHF radios, EPIRB, life jackets and PLB’s. For your added security, our in house technicians are on standby to assist if you find yourself in trouble. The layout of the 40.7 is very practical, with two double rear cabins, a large saloon and forepeak and an enclosed toilet and shower unit. The galley has a double burner stove and is fully equipped for cooking on board. The boat sleeps six in comfort or eight using the saloon bunks.